Originally from Phayao in the North of Thailand. Lakkhana (Lak) Menzies was trained at the Faculty of Nursing, Chiang Mai University and earned a Bachelor of Nursing Science with Honors. 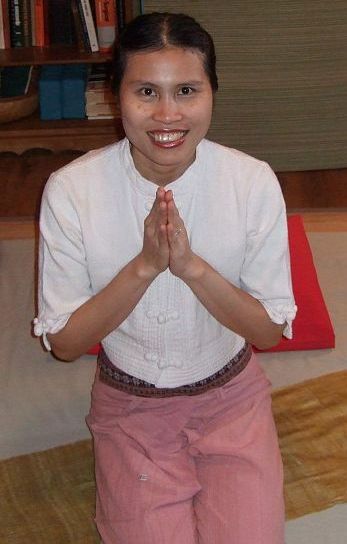 She also trained with the world renowned Thai Massage School, in the Thai Natural Traditional Massage Style and is Accredited by the Nursing Council of Thailand and Certified by the Thai Ministry of Education, NAMO Chiang Mai (Foot Massage), the Thai Massage School of Thailand and the Thai Massage Center of Canada.